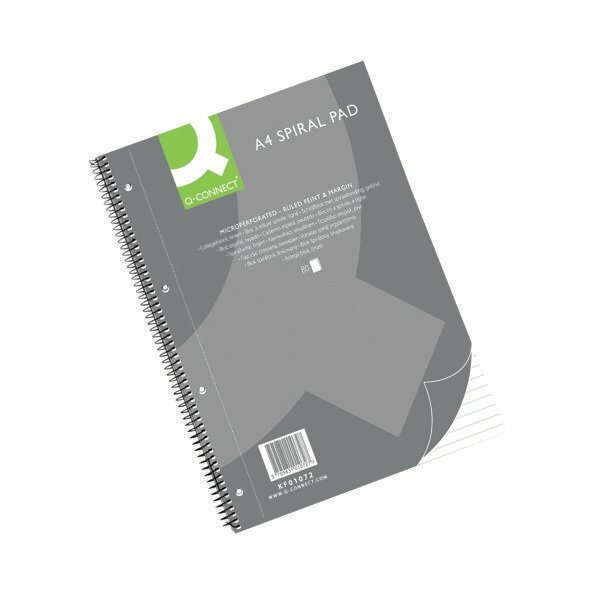 This Q-Connect executive spiral bound notebook features a rigid back board and 160 pages of 70gsm woodfree paper. The pages are feint ruled with a red margin for neat note-taking and perforated for easy removal from the pad. The pad is also four-hole punched for filing in standard lever arch files and ring binders. This pack contains 5 x A4 pads.